Theia is the guardian of north region. She looks tender, but controls extraordinary power. 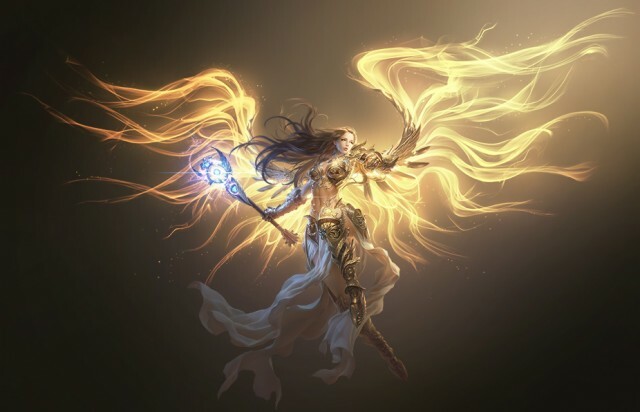 Her golden armor, punishing wand, and huge wings symbolize her status. She is mature and calm with decisive judgment. To punish those who block the way to brightness is her mission. In that way, she defends this land with all her life. Angel Skill: Deals (170% ATK + 700) MATK to all enemies and increases ATK by 5.5% for entire party, lasts 2 turns.